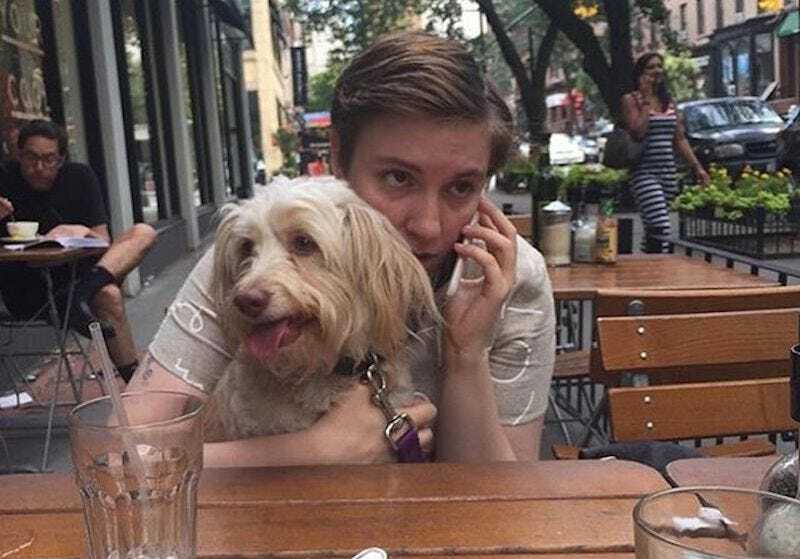 By now you are aware of the epic saga surrounding Lena Dunham and her dog, Lamby, and also Lena Dunham’s potentially unhinged relationship with the concept of Truth. Did Lamby ever actually suffer from behavioral problems, or did Dunham invent them so she could dump Lamby for two newer, shinier pups to write about in the New Yorker? Or, is Lena Dunham such an inept dog owner that she made Lamby insane? Beisner defended Dunham as a “really proactive, diligent” pet owner who evidently did not want to give up Lamby, only changing her mind when one of Beisner’s staff members offered to adopt him in March. Personally, I’m glad that Lamby has found a home that suits him, and think we’ll only really know the truth about Dunham’s dog ownership abilities when we see how Karen and Susan grow up. If they don’t both graduate top of their class from Harvard Law she has FAILED. The party was filled with fun for adults and children alike, with Penelope and her guests enjoying rap performances by both the legendary Will Smith, 48, and his equally famous son Jaden, 19. When Jaden took to the backyard stage to throw out some sick beats in just a pair of overalls (no shirt!) he picked up the birthday girl’s little bro, Reign, 2, to help him out. You truly learn something new every day. Anyway, looks like everyone had fun.